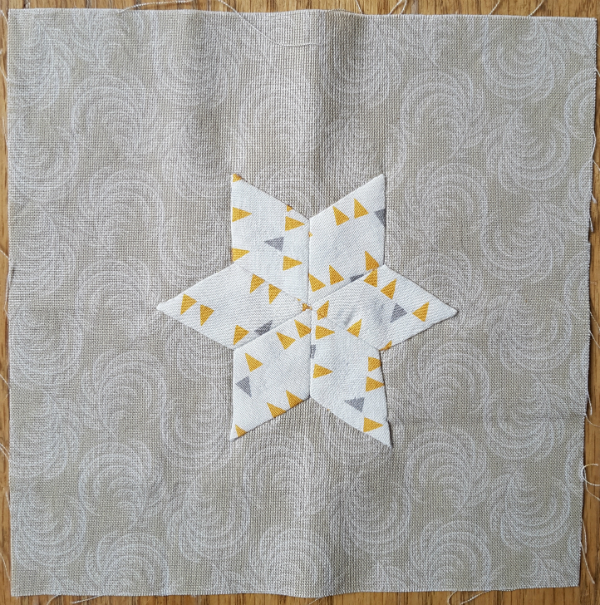 I've started appliquing my EPP stars to their backgrounds, now that I've figured out how to make them into something I will enjoy making, and I'm loving the process! 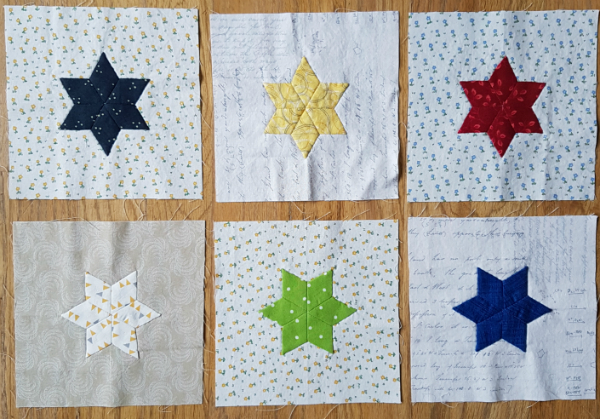 So far I have 6 stars finished. 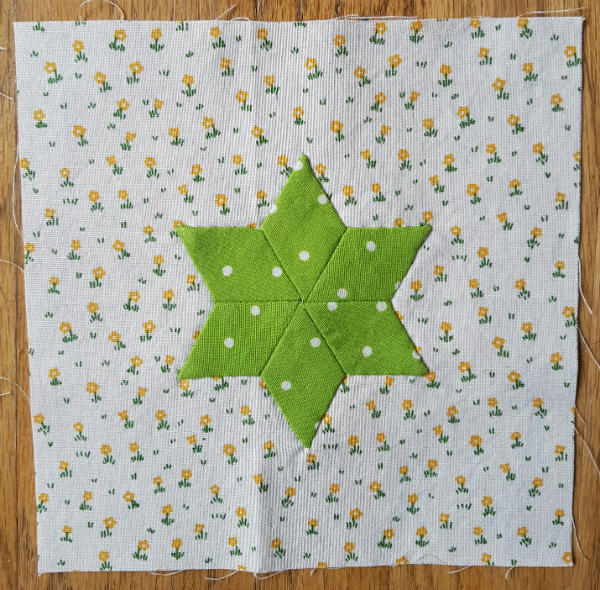 When I last posted about these stars, I wasn't sure what I would use for the backgrounds and I speculated that maybe I'd use solids. As you can see, that's not what I decided on. These low volume backgrounds make me think of a vintage scrappy quilt and every one of them makes me smile. 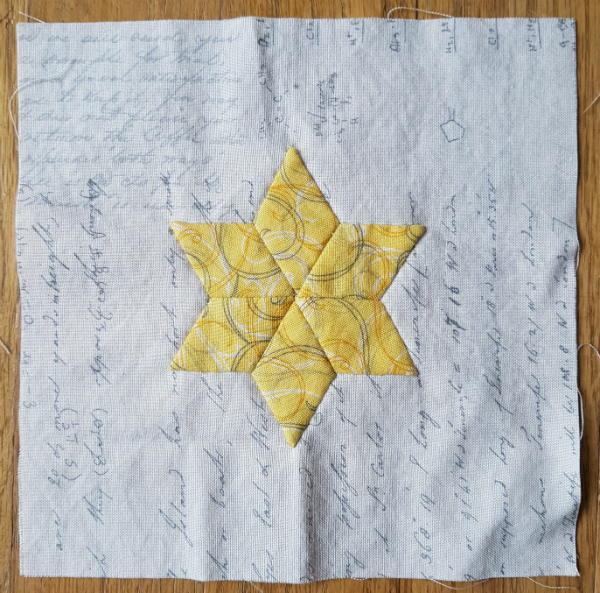 I'll probably mix in some darker backgrounds, especially for some of the white, cream and light yellow stars, though I also like the idea of having lower contrast between the stars and the backgrounds in some of the blocks. I feel like that makes people look a little closer to see those stars. 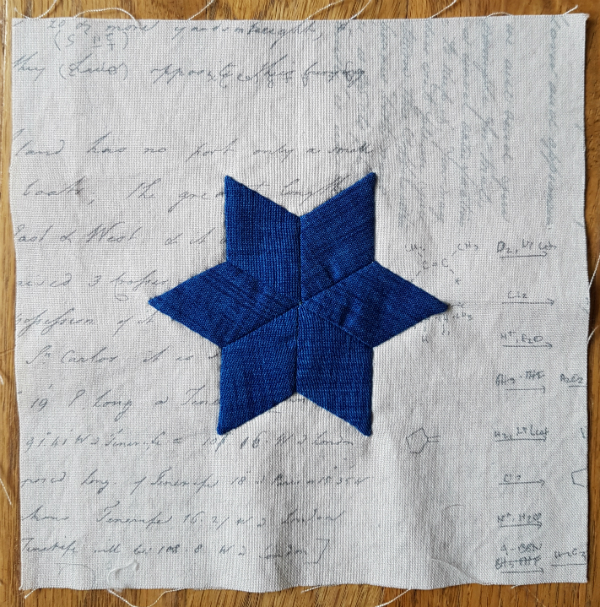 I'm using threads that match the stars and stitching them on with ladder stitch, which is pretty much invisible. This definitely won't be a driving project. Our roads are much too pot-holed and bumpy for the precision that ladder stitch requires. It is great for working on while I sit and watch baseball with Paul, though. 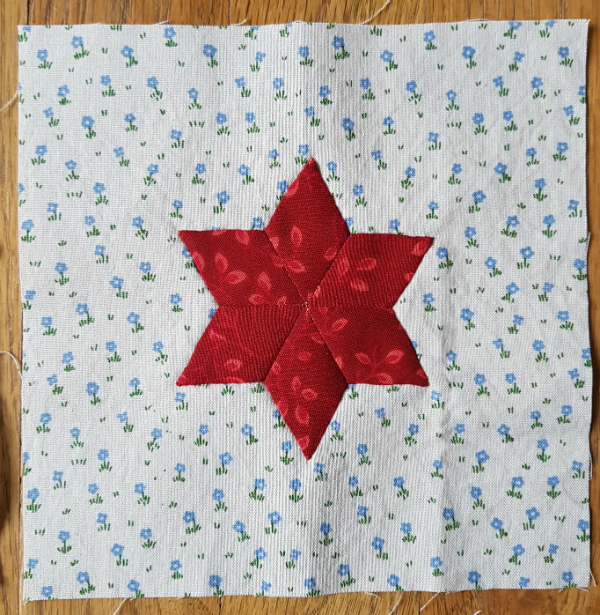 I also took it with me when I went away with my MIL and two SIL this past weekend and finished three stars while we were sitting around chatting. I've cut the backgrounds at 6 ½", so they'll finish at 6". 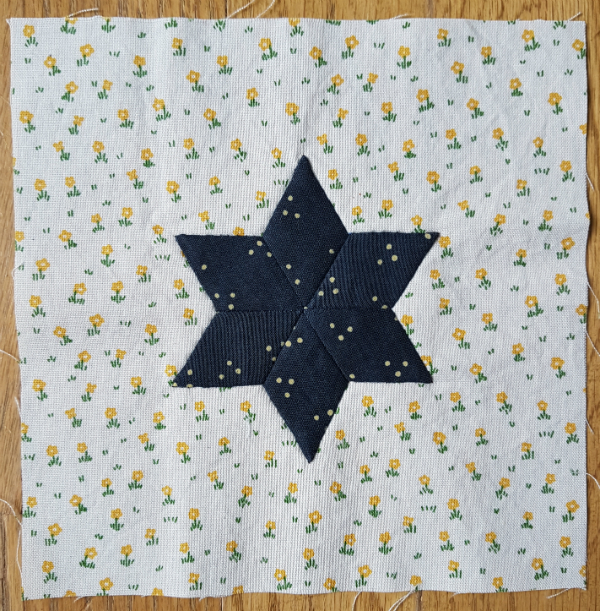 That leaves me room for the curves that are part of the floor that inspired this quilt, if I do decide that I want to include them. I'm thinking right now that the sashing and the curves (bias tape?) would be the same so that the variety of fabrics won't be overwhelming. Using the same fabric for both would probably have a calming effect, unifying the craziness of all the other fabrics. I love your WISP. This is a great plan B. These look great Leanne, I really like the low volume backgrounds they are very restful. What a lovely project to have bubbling along in the background! Oh these made me smile today Leanne! I love those low volume backgrounds; part of why I love my RSC projects so much is doing that very same thing, and yep, they make me smile too. Wow you do such precise appliqué. Beautiful.